Vladimir Lenin was one of the leading political figures and revolutionary thinkers of the 20th century, who masterminded the Bolshevik take-over of power in Russia in 1917, and was the architect and first head of the USSR. Vladimir Ilich Ulyanov was born in Simbirsk on the Volga River on 22 April 1870 into a well-educated family. He excelled at school and went on to study law. At university, he was exposed to radical thinking, and his views were also influenced by the execution of his elder brother, a member of a revolutionary group. Expelled from university for his radical policies, Lenin completed his law degree as an external student in 1891. He moved to St Petersburg and became a professional revolutionary. Like many of his contemporaries, he was arrested and exiled to Siberia, where he married Nadezhda Krupskaya. After his Siberian exile, Lenin - the pseudonym he adopted in 1901 - spent most of the subsequent decade and a half in western Europe, where he emerged as a prominent figure in the international revolutionary movement and became the leader of the 'Bolshevik' faction of the Russian Social Democratic Worker's Party. In 1917, exhausted by World War One, Russia was ripe for change. Assisted by the Germans, who hoped that he would undermine the Russian war effort, Lenin returned home and started working against the provisional government that had overthrown the tsarist regime. He eventually led what was soon to be known as the October Revolution, but was effectively a coup d'etat. Almost three years of civil war followed. The Bolsheviks were victorious and assumed total control of the country. During this period of revolution, war and famine, Lenin demonstrated a chilling disregard for the sufferings of his fellow countrymen and mercilessly crushed any opposition. Although Lenin was ruthless he was also pragmatic. When his efforts to transform the Russian economy to a socialist model stalled, he introduced the New Economic Policy, where a measure of private enterprise was again permitted, a policy that continued for several years after his death. In 1918, Lenin narrowly survived an assassination attempt, but was severely wounded. His long term health was affected, and in 1922 he suffered a stroke from which he never fully recovered. In his declining years, he worried about the bureaucratisation of the regime and also expressed concern over the increasing power of his eventual successor Joseph Stalin. 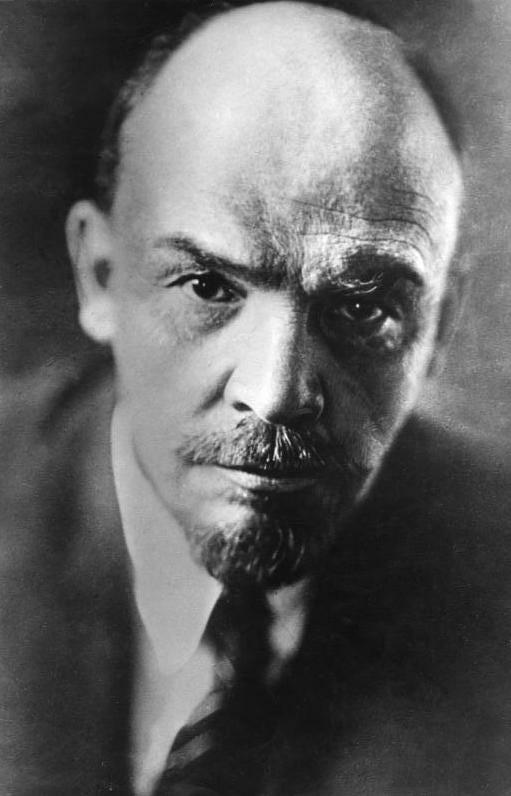 Lenin died on 24 January 1924. His corpse was embalmed and placed in a mausoleum on Moscow's Red Square. Give me just one generation of youth, and I'll transform the whole world. There are decades where nothing happens; and there are weeks where decades happen. The way to crush the bourgeoisie is to grind them between the millstones of taxation and inflation. It is more pleasant and useful to go through the 'experience of the revolution' than to write about it. One man with a gun can control 100 without one.... Make mass searches and hold executions for found arms. One of the basic conditions for the victory of socialism is the arming of the workers and the disarming of the bourgeoisie (the middle class). Capitalists are no more capable of self-sacrifice than a man is capable of lifting himself up by his own bootstraps. Crime is a product of social excess. He who now talks about the "freedom of the press" goes backward, and halts our headlong course towards Socialism. In the history of modern socialism this is a phenomenon, that the strife of the various trends within the socialist movement has from national become international. War cannot be abolished unless classes are abolished and Socialism is created. Give me four years to teach the children and the seed I have sown will never be uprooted.